This is a sample wool from the sample-set provided by Textile Fabric Consultants, Inc. 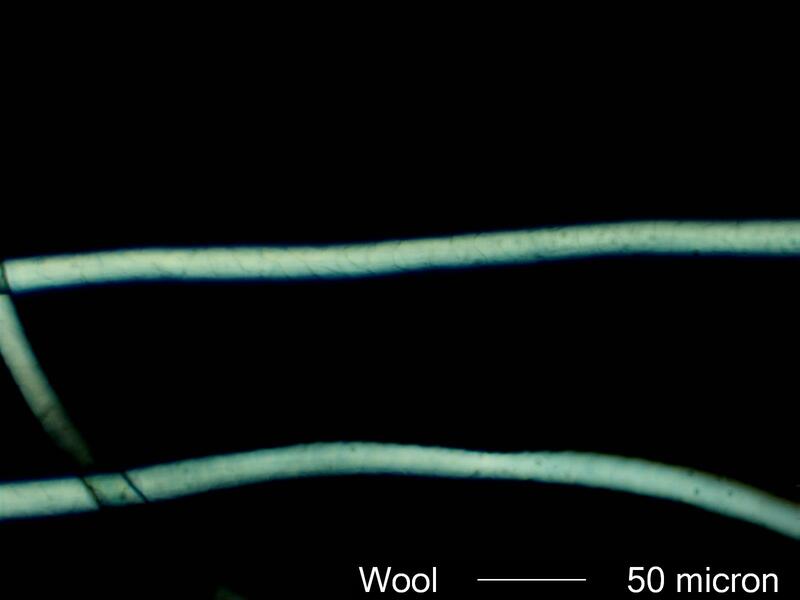 Wool has a refractive index along its length of about 1.56 and perpendicular to its length of about 1.55. It has a birefringence of about 0.01 and a positive sign of elongation.